Go Bus offers the full spectrum of bus services, including charter, special needs transport, schools and urban services. We operate one of the youngest bus fleets in the country and enjoy a 4 Star ORS Rating from the New Zealand Transport Agency (NZTA). Go Bus operates 450+ dedicated urban service vehicles with a low average age - utilising primarily New Zealand built, Euro rated engines to maximise efficiency and minimise environmental impact. Looking for event transport? see what's on at Go Bus. 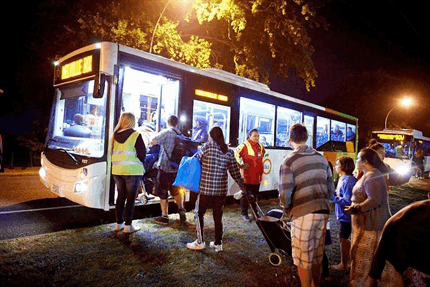 These services generally run from 9.30am to 2.00pm and are perfect for group outings such as shopping trips in or out of town, lunches, trips to the park, functions, transfer services. We also cater to more personalised travel needs such as medical appointments and private arrangements. Our drivers are happy to wait for residents as they go about their daily activities. Our friendly team can help you choose the most appropriate vehicle for your needs and provide you with a time estimate between destinations. For enquiries please contact your local depot. We hire out our buses and coaches! Our range of affordable and dependable vehicles range from mini buses for small groups to large passenger buses and coaches that can accommodate larger groups. Go Bus is the leading provider of charter bus hire in New Zealand. If you need to charter transport anywhere in New Zealand Go Bus have what you need to get you and your passengers from A to B. Our range of affordable and dependable vehicles range from mini buses for small groups to large passenger buses and coaches that can accommodate larger groups. We can provide you with a ‘no-frills’ bus for a short trip or a coach for long distance travel. We also assist with accommodation, special events, shows and even ferry tickets if you require. 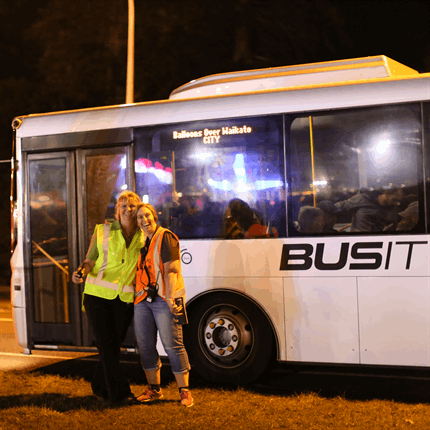 At Go Bus we try to go the extra mile for our customers, providing them with everything they need to make their trip or event a successful one. With Go Bus you can be sure of quality customer service. Along with our 5-star ORS rating from the NZTA, we enjoy a Tertiary Status for ACC Workplace Safety and Management practices. Whether you need charter transport (coach, bus or minibus hire), urban passenger services, school services or mobility services, you can count on Go Bus to deliver a solution that works for you. Our team are happy to help in whichever way they can, so give your local depot a call or free phone 0800 462 871 and select your location. All our depot locations can provide a range of options for charters at competitive rates. Fleet options may vary from depot to depot. The minimum number of passengers is eight and the maximum (per vehicle) is 53. For luxury 4 and 5-star charter options visit our Johnston’s website. Click here to contact our friendly team at Johnston’s. 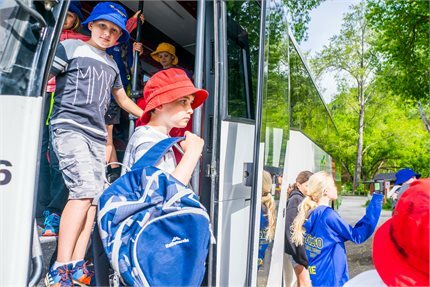 Go Bus provides student transport on behalf of the Ministry of Education and private education providers for various schools throughout New Zealand. The School Transport Policy is outlined in the Ministry of Education Fact Sheets which can be found on the Ministry of Education website. These facts sheets are designed to provide information on school transport and outline where schools and caregivers can access more information. Go Bus does not design the school bus routes or set the policy for school transport eligibility. Any queries regarding the routes or eligibility for your area should be directed to the school bus controller or headmaster of the applicable school. For a copy of the map for the school routes operated by Go Bus, please contact your local Go Bus depot and speak with the school transport supervisor, or contact your local school. Go Bus are suppliers of special needs transport services to the Ministry of Education for the purpose of transporting students with special needs to and from educational facilities nationwide. Go Bus has been successfully operating special needs services since 1982 and has a core team of experienced people responsible for the day to day management of these services. 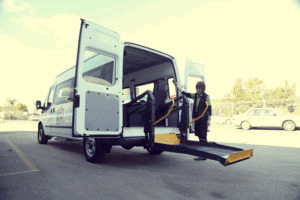 We have vehicles with specialised loading equipment and specially trained staff to provide clients with a comfortable, safe journey to and from their places of learning and recreation. Eligibility inquiries should be made in the first instance to your school. We also offer special off-peak rates. Contact us for a quote for your next journey. All the mobility vehicles are late model, high quality and follow a regular service program to ensure they are always in top condition. We provide vehicles that can cater for all group sizes as well as Total Mobility Vehicles. 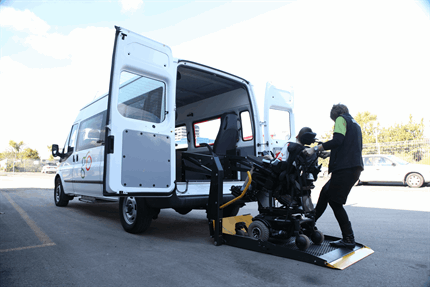 All our vehicles are provided with seatbelts and our mobility vans have full sized hoists and are fitted with the latest floor restraint and seat belt equipment. We have a team of experienced people responsible for the day to day management and support of these services. Generally, our Total Mobility Vehicles seat 8 passengers and 2-4 wheelchairs. Our staff are trained specifically in the art of loading and securing wheelchairs in a safe manner. Our drivers are all highly trained and dedicated to providing a comfortable and quality experience for our customers. They enjoy their work and are well presented, professional, and provide high-quality service.